Academic redshirting: What does the research say about delaying kindergarten? Or should you redshirt him? Some claim that parents redshirt their kids not because their kids aren’t ready for school, but because holding them out might give them an academic, social, and athletic edge over their peers. Last week, two of my neighbors sent their 5-year-olds on the school bus for the first time. The families were excited but also mildly terrified. I look back fondly on kindergarten—I remember soaring around the playground as an eagle with my friend Kathleen—but kindergarten today is a vastly different beast than it was 30 years ago. Many schools have ditched play-based exploratory programs in favor of direct instruction and regular testing, in part thanks to the pressure to improve grade-school test scores. As many experts I spoke to for this column told me, kindergarten is the new first grade. Perhaps it’s unsurprising, then, that an estimated 9 percent of parents don’t send their 5-year-olds to kindergarten anymore. They wait a year so that their savvy 6-year-olds can better handle the curriculum. This so-called “academic redshirting,” a nod to the practice of keeping young athletes on the bench until they are bigger and more skilled, is highly controversial. The National Association of Early Childhood Specialists and the National Association for the Education of Young Children fiercely oppose it, saying that redshirting “labels children as failures at the outset of their school experience.” Studies that have evaluated how well redshirted kids fare compared to their schooled-on-time peers conclude that redshirting provides no long-term academic or social advantages and can even put kids at a disadvantage. 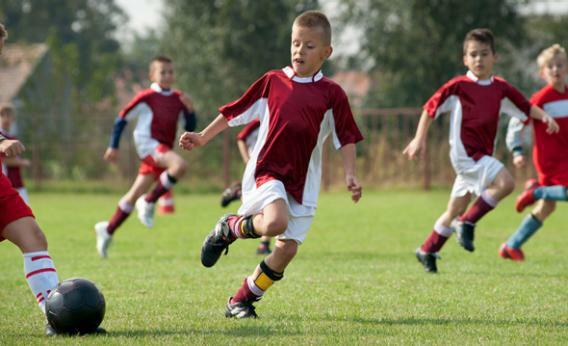 The practice has become even more controversial in recent years over claims that some parents do it for the wrong reasons: They redshirt their kids not because their kids aren’t ready for school, but because, in the age of parenting as competitive sport, holding them out might give them an academic, social, and athletic edge over their peers. If little Delia is the star of kindergarten, they scheme, maybe she’ll ride the wave all the way to Harvard. Gaming the system this way, of course, puts other kids at a disadvantage. Yet some experts say that redshirting can be extremely appropriate and helpful for certain kids, and they aren’t convinced by the research pooh-poohing the practice. That’s because the impact of redshirting is very difficult to evaluate, as kids who are held back are fundamentally different in many ways from kids who go to kindergarten on time, so the conclusions of some studies might be flawed. And even if redshirting might not be beneficial when effects are averaged, there could be a subset of kids who really benefit from the extra “gift of time.” But before I get into that, let me summarize some of the studies. Other research suggests that redshirted kids are less motivated and engaged than their younger peers in high school and that they are more likely to require special education services. And in a 2008 review, David Deming, an economist of education at Harvard University, and Susan Dynarski, an education and public policy expert at the University of Michigan, concluded that redshirted kids also tend to have lower IQs and earnings as adults. This latter finding is probably linked to the fact that redshirted teens are more likely to drop out of high school than non-redshirted teens. Redshirted kids tend to have lower lifetime earnings, too, because they enter the labor force a year later. If all this makes you think redshirting is a really bad idea, you’re not alone. Many articles, including a piece published here at Slate and a 2011 New York Times op-ed titled “Delay Kindergarten at Your Child’s Peril,” have deftly argued against the practice. Others point out that redshirting could be bad on a societal level, too: When lots of kids in school are redshirted, parents demand a more advanced curriculum—they often “argue that they have invested in a child’s education, and the school must now individualize to meet a 6-year-old’s needs,” says Beth Graue, a curriculum and instruction expert at the University of Wisconsin–Madison’s Center for Education Research—and this could create a vicious cycle making kindergarten more and more challenging, encouraging more and more redshirting. And when redshirting is common, it can put young low-income children at a disadvantage, because these kids may not be ready for the curriculum, yet their parents often can’t afford to pay for an extra year of preschool. Yet as I mentioned earlier, the impact of redshirting is not as clear-cut as it sounds. First, much of the research on redshirting is pretty old—some of the key studies I cited relied on cohorts of kids who were redshirted in the late ’70s or early ’80s, and kindergarten has changed a lot since then. Redshirting has also become more common over the years, although it started becoming popular as early as the 1990s. Second, redshirted kids are usually vastly different from non-redshirted kids before they even get to school, so it can be difficult to separate the effects of redshirting from these fundamental differences. Redshirted kids these days are most likely to be boys who come from affluent families—one study from California reported that parents who redshirt their kids earn, on average, 40 percent more than those who don’t—because, as mentioned earlier, low-income parents typically can’t afford to pay for another year of preschool. (In the 2006 study involving 15,000 kids, the redshirted kids’ families had lower incomes than the non-redshirted kids’ families—another reason why old studies aren’t necessarily applicable today.) So when researchers compare redshirted kids to non-redshirted kids, they’re often comparing socio-economic apples and oranges. There’s also the fact that kids are sometimes redshirted because they have behavior or learning problems that parents mislabel as immaturity—I’m sure Kalee’s tendency to throw chairs at adults will go away once she turns 6, so we’ll just wait a year. This could explain why redshirted kids often need special education services and also why they’re more likely to drop out of school and not go to college. In other words, redshirting might not actually increase the risk of these problems—it may just be a sign of existing problems. Yet redshirting these types of kids “can in fact make the problems worse, in that the child’s access to support is delayed as the family and school wait for maturity to kick in,” Graue says. So, is there any research that suggests redshirting is helpful? Yes—but again, this research does not actually tell us much about redshirting. Elizabeth Dhuey, an economist at the University of Toronto at Scarborough, has published a number of studies suggesting that the older kids are in a class, the better they fare academically, the more leadership roles they have in high school, and the more likely they are to attend elite universities—pretty much exactly the opposite of what the redshirting studies show. But even though her work has been used to support redshirting, “my findings relate only to a child’s age relative to their classmates—not the act of redshirting,” Dhuey explains. “These are different things altogether.” Because Dhuey’s work pools the impact of natural age differences across the school year—comparing how kids born in May fare to kids born in December—it’s dishonest to cite her work as evidence that redshirting itself is helpful, even though there were probably some redshirters in her samples. Ultimately, at the core of the argument over redshirting are questions about how children learn. Do they develop social and cognitive skills according to automatic internal clocks that are unaffected by environmental influences—which would suggest that kids become ready to learn on their own time? Or do kids develop key learning skills based on their interactions with others and how stimulating their environments are—which would suggest that redshirting harms the children who could benefit from kindergarten the most? No one knows for sure. I have no idea what I will do if my son, who has a late spring birthday, seems unready for kindergarten when he’s 5. I sure as hell don’t want to pay for an extra year of preschool, and my instincts also tell me that I’d prefer for him to be challenged by school—not too much, but enough—than be bored by it. If he had a late summer birthday, I’d rather that he be surrounded by slightly more mature peers than slightly less mature peers. “It’s like tennis partners—you want to pick someone who is better than you,” says Sam Wang, a Princeton neuroscientist and a co-author of the book Welcome to Your Child’s Brain. David Deming, the Harvard education economist who published the 2008 review on redshirting, agrees. He shared an illustrative example about what recently happened to his 4-year-old daughter, one of the youngest in her preschool class. She had come home complaining that her friend, who was almost 5, could already go all the way across the monkey bars. His daughter, on the other hand, could only get to the second bar. “I told her that if she keeps practicing, she will eventually get better,” he says. “She got to the third bar this morning.” If she were the oldest, automatically better at so many things than her friends, would she set as many difficult goals for herself? Would she learn as much about patience and perseverance? Maybe not.